Hello! Today I have a quick swatch of Nine Zero Lacquer 'March 2016' to share with you. As mentioned previously, I am going to wear each of last years monthly polishes in the corresponding months throughout 2017. 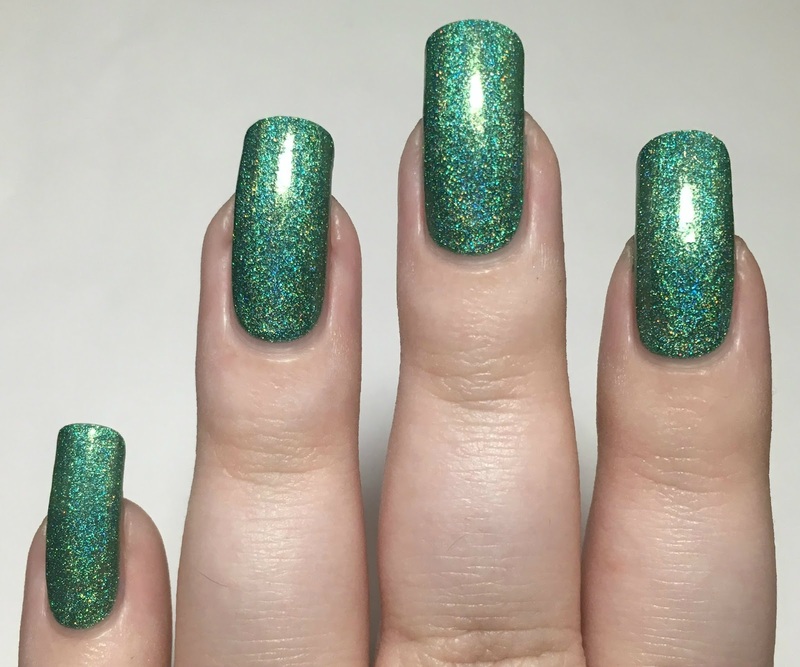 March's polish is green, so with St Patrick's Day on Friday, I thought this week was the perfect time to wear it. Read on for my swatch and more info! 'March 2016' is described as a 'shamrock green holographic with holographic silver microglitter added in for extra sparkle'. The formula is smooth and easy to apply, and covers really well. It was the slightest bit sheer and patchy on the first coat, but evens out perfectly with the second. Below is two coats with topcoat. What do you think? As with both of the other monthlies so far, I love it. It's such a gorgeous shade of green! I love that it's not too dark, but also not too bright - I feel like it's a nice middle. When it hits the light, the linear holographic rainbow is so beautiful. I'll be back next month with 'April 2016'! 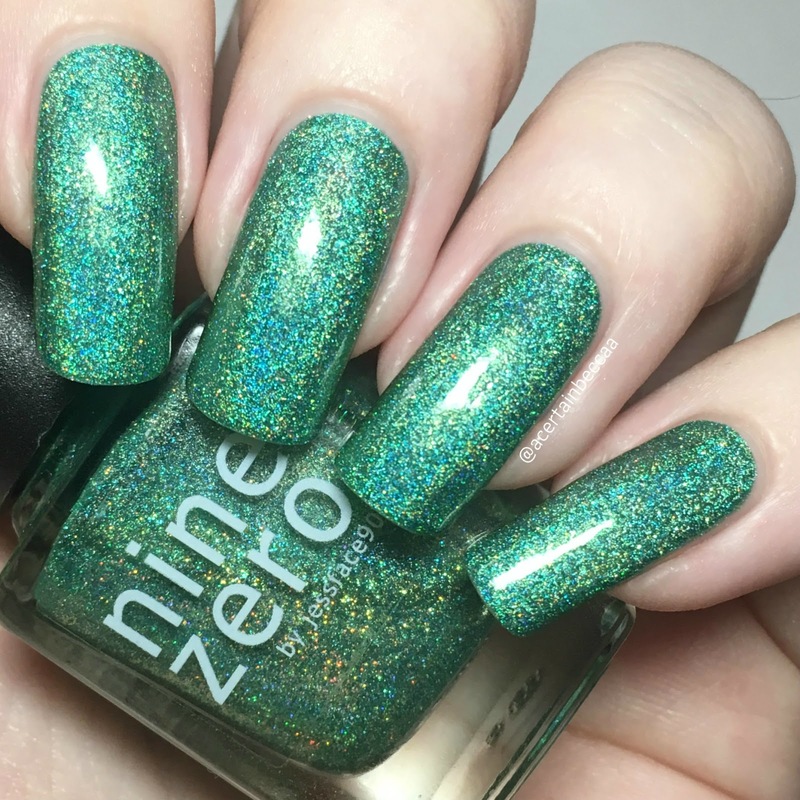 You can find 'March 2016' on the Nine Zero Lacquer website here.